If you’re looking for the ultimate smile makeover, Mansouri Family Dentistry has the perfect option: porcelain veneers. In just a couple of visits to our office in Cumberland or Marietta, you can have an entirely new smile. Experience the confidence that you need to make the lasting impressions when it matters the most. 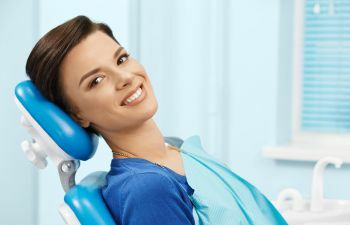 We typically recommend porcelain veneers for people with relatively good dental oral hygiene and a dedication to keeping their smiles healthy. This includes being free of gum disease and decay. The better you care for your veneers, the longer they will last. Veneer treatments takes two to three visits to complete. Initially, we will need to see you for a consultation to discuss what aspects of your smile’s appearance that you want to change. This includes selecting a new tooth color and shape. Next, we will arrange to “prep” your teeth and slightly adjust them so that the veneers do not look bulky once they are bonded into place. After the teeth are prepared, we will take an impression of your smile and put temporary veneers over your teeth to prevent discomfort. About two weeks later, your permanent veneers will be ready to bond over your smile. As soon as they are, you’ll see dazzling, white, straight teeth staring right back at you in the mirror. Call Mansouri Family Dental Care & Associates today to schedule a consultation!